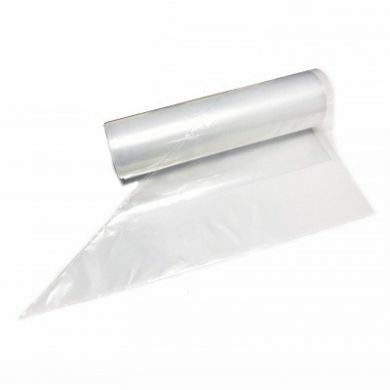 Roll of 80 Heat Resistant Disposable Clear Piping Bags. These heat resistant disposable clear Piping Bags are suitable for melting and then piping using the same bag which reduces preparation time. High quality and certified for food contact. Heavy duty, very strong and easier to use than fabric bags. The bags are tested for use in the microwave to heat products such as chocolate for decorating cakes, biscuits, pastries, and mashed potatoes.